Having lived in Sydney’s inner-west suburb of Marrickville for the best part of a year, Robyn Hitchcock officially bids farewell to the Antipodean life tomorrow night with a gig at The Factory Floor (tickets here). This will be a full rock n’ roll show with Hitchcock’s band comprising members of local outfit The Holy Soul. This upcoming gig had me thinking about my previous post that asked readers to compare a CD rip and a needle-drop of the very same cut; the turntable used was a Pro-Ject Debut Carbon DC. We’re more often than not told that nothing sounds better than vinyl but is that the case with an entry-level turntable? Does it trounce its digital equivalent? 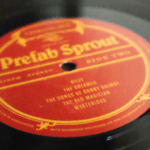 Previously, readers were invited to vote on which they preferred: the vinyl rip or the CD rip of Prefab Sprout’s “Billy” (presented as one minute samples). The comments section spilled with complaints about a paucity of dynamics on the vinyl rip and a little too much stridency with the CD rip. I concur. As one might expect, the issue of mastering quality rose its ugly head with one commenter suggesting that people continue to buy vinyl because it’s often cut from a master that’s not seen as much dynamic range compression as that used for the CD equivalent. I’m not so sure that’s true for all vinyl though. Aren’t the majority of contemporary releases cut from the same master irrespective of format? And that master is rarely analogue tape. Nowadays, a 24bit/96kHz file is more common. In some cases the source file’s resolution might be as low as 44.1kHz! Yes – some of your records are pressed from a CD-quality source. Youch. 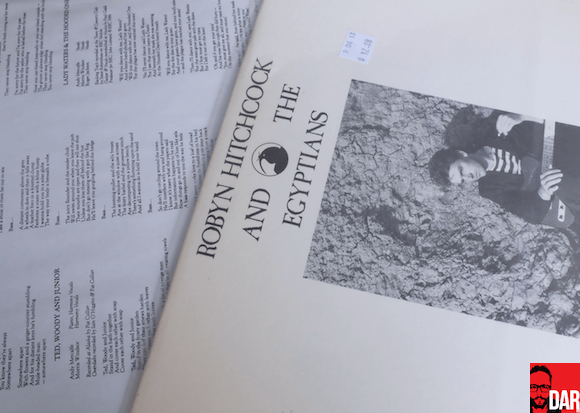 Robyn Hitchcock’s recorded music career began in the late 70s with The Soft Boys but it’s his work throughout the 1980s – both with and without The Egyptians – that brought critical acclaim proper. My fanaticism for this fella has cost me a whole heap of dough throughout the years, buying every release in TWO re-issue programs, the first from Rhino in 1995 and the second from Yep Roc in 2008. Whist out record shopping in New Jersey with Stephen Mejias (AudioQuest, ex-Stereophile) last September I picked up an original US pressing of 1986’s Element of Light (Relativity/Glass Fish 88561-8130-1) at Iris Records. The dynamic range database entry for the original Glass Fish CD issue looks promising; an album DR of 14 is pure gold in an age where a solid number of modern rock releases serve up scores of between 6 and 10. Alas, I don’t have that original Element of Light CD release to compare to the U.S. vinyl but I do have both Rhino and Yep Roc reissue CDs (ripped to FLAC). How would those three compare? Surely a mint copy of a record mastered and pressed before the loudness wars took hold would outshine both subsequently released CD remasters, even with an entry-level turntable? Remember: in Australia, the Debut Carbon ships with an Ortofon OM10 pre-installed. I needle-dropped the first minute of blistering opener “If You Were A Priest” (IYWAP) with the Pro-Ject Debut Carbon DC and PS Audio NPC, normalised it to 0db in Audactiy and saved it to .wav. I then cut one minute chunks from both CD rips and save ’em as .wav. All three samples are available for a comparative juicing here. They’re 10Mb each. Which "IYWAP" sample do you find most enjoyable? What can we conclude from this comparo? 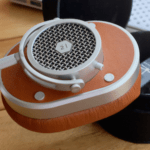 Does the vinyl rip offer the best sound of the three, thus underscoring the mantra of the greater audiophile consciousness: that nothing beats the sound of vinyl? Or does one of the two CD rips sound more enjoyable to you? Let us know in the comments section below. UPDATE: Sample A was the record, Sample B the Ryko CD and Sample C the YepRoc CD. To me it was a toss between ”A” and ”B”. ”B” seemed like the better compromise of digital/analog qualities (so to speak) which is why I chose it over ”A”s more in your face sound. Iris Records in Jersey City. Super cool John. Never been, looks fun though. To answer your question about vinyl being cut from the same master, the answer is almost always yes it is (mainly for cost reasons). Sometimes due to hypercompression, the cutting engineer will actually remove some of the limiting before the press, but the overwhelming majority of records released today are cut from the same digitally recorded master. I deal with a lot of labels and that is almost always the answer I receive when I ask (unless the artist him or herself is a vinyl junkie or audiophile). It’s not the medium but the master that is at the heart of the “format wars.” Because the vinyl format is so niche it sidesteps a lot of the concerns many popular artists and labels have about volume. For their LP release however, they just don’t care as much since its such a small market so they let the mastering engineer do his or her job without getting in the way. And the rich irony here is that because of this, when a vinyl is cut from a dedicated, less limited master, it always sound betters than its over-compressed digital counterpart. The key advantages of LPs are I believe two fold: 1) Allows you to tailor your playback chain to a type of personal fuzz via using different TTs, carts, tonearms, etc. (fuzz a la cart) and 2) Sometimes provides a Loudness War free master. Btw, if you throw high-res into the mix, it’s the same story: Without knowing the providence of the master the high-res recording was sourced from, how do you know that 24-bit/96kHz PCM file you bought off of HDTracks was a) Sourced from a 16-bit/44.1kHz recording and/or b) Is the same DR4 master of the crappy sounding CD? Hint: You don’t. “…the overwhelming majority of records released today are cut from the same digitally recorded master”. Yup, a point made in the article. And therefore why comparing the Prefab Sprout cut made sense to me – both vinyl and CD are made from the same master. “The key advantages of LPs…Sometimes provides a Loudness War free master.” <--- I suspect that 'sometimes' isn't too common. And yes, hi-res audio isn't infallible. I guess my over-arching point here is that the press, both mainstream and audiophile, is happy to repeat the rhetoric that 'vinyl sounds better'. Which vinyl? What turntable? What cart? What phono stage? I think these two recent A/B(/C) show that reality isn't quite so cut and dried for the entry-level Pro-Ject Debut Carbon. Love that when I submitted that poor old C didn’t have a vote, yet B had 4 votes and C was “comparatively dull”! Nevertheless – a great idea for experimenting!! Makes sense – it was duller the second time I listened to it because my cryogenically treated cable had warmed up by then. Allowing for maximum dullness to be revealed. I thought the difference was because of mechanical reason. Compressed tracks with reduced DR don’t track properly with a needle because it reduces the width of the groove, is that totally false? I don’t understand how vinyl is cut so I could way off. It’s true that the vast majority of artists today record and mix digitally, usually at anywhere between 24/44 and 24/96. Nobody in their right mind should be recording at 16-bit. I never claimed that one should choose vinyl over CD because you’re getting “analog” music that way, I’m well aware that nearly all records released in the Pro Tools era are digitally sourced. Whether that source is 24/44 or 24/96 or 24/192, I don’t really care. The vinyl buyer gets two things over the CD buyer. 1. Access to a treasure trove of music from the pre DAW era, and 2. the *chance* of a fully dynamic master. Obviously record labels will reissue classic albums on CDs, but using what tape and what equipment? Was it an original master tape, or somebody’s dusty old 3rd gen safety copy that sounds like crap? It’s impossible to know, but artists and labels are usually VERY reluctant to release their original masters for reissues, especially if it’s just some half-effort CD reissue. If you’re buying a mainstream pop or rock CD in 2015, I’d say you have at least a 95% chance that it will be DR5 or DR6, and arguably not worth listening to on a stereo that costs more than $1,000. Linkin Park once said in an interview that they master for clock radios. That’s how you end up with DR5 or DR6 (or worse). If you buy a mainstream pop or rock LP in 2015, what are the chances that it will have the same level of dynamics as the CD release? I don’t know, I haven’t heard every record out there. There does however seem to be at least a sizable percentage of albums that are allowed full dynamic treatment on vinyl. I know for a fact that some labels will not let their artists release a dynamic CD *even if they want to*. The CD MUST have “competitive” loudness. Dynamic vinyl however they have no problem with. So even if the majority of new vinyl releases use the same mastering as the CD, the vinyl listener still comes out ahead. Vinyl albums retain some value assuming they are in good condition, so if you’re unhappy with an album you can sell it and move on to something else. A used CD is essentially worthless, and digital downloads can’t be resold. And yes, the Debut Carbon is barely scratching the surface of what good vinyl can sound like, but that doesn’t mean somebody has to go out and drop $3K on a VPI. A not so well kept secret is that many of the vintage direct drive tables from Kenwood, Denon, Pioneer, Sony, and Yamaha released in the ’70s and ’80s can actually sound *really* good, especially if you re-wire their tonearms, upgrade their platters and bearings, etc, and they can be purchased for similar money as the entry level Pro-Ject and Rega tables. “And yes, the Debut Carbon is barely scratching the surface of what good vinyl”. That would seem to be the case here UNLESS you absolutely cannot abide the greater dynamics and urgency of the digital CD rips. “if you re-wire their tonearms, upgrade their platters and bearings” <--- Hardly the stuff of newcomers to vinyl. Yes, the used market can offer greater bang for buck but then we're into a game of apples (new TTs) and oranges (used TTs). I have a re-plinthed Lenco here but it's got a face only a mother could love. Well, the question is how good is something like an SL-1200 stock, vs. a stock Debut Carbon, and what can you do with an SL-1200, vs. what can you do with a Debut Carbon. There’s plenty of debate on whether an unmodified SL-1200 is better or worse than the modern entry level belt drive tables, but if you’re willing to take on the effort, the SL can really grow with your system in a way that the Debut simply can’t. An armboard swap will allow you to use a number of far higher quality tonearms than the stock, and there are several other upgrades available. If you’re uncomfortable doing the work yourself, there are folks that will do it for you. The SL-1200 remains a hugely popular table, and so the support network for it is pretty big. If you’re after something a bit prettier and with less humble origins than the SL, Richard Colburn from Vinyl Revolution sells pre-modernized classic tables on his site that are ready to go out of the box. He’ll even pre-mount the cart for you if you want. I’m not sure that the apples to oranges argument really applies here. While it’s obviously unfair to compare something like used vs. new speakers, tables like the DP-62L simply aren’t made anymore. You couldn’t buy a comparable new one if you wanted to, so you’re left comparing what’s available on the second hand market vs. what’s available new – basically a Pro-Ject or Rega. Obviously for most people a Debut or RP1 makes more sense, they have warranty support, service and parts are readily available, etc. If you’re on a limited budget, looking to get maximum vinyl bang for your buck, and are willing to get your hands dirty a bit, then one of these old DDs may make be worth a look. You can also get some very good values on new tables as well if you can spend a bit more up front. The Marantz TT-15S1 for example is pretty much a baby Clearaudio, and it comes with the $950 Clearaudio Virtuoso Ebony Wood cart as part of the $1500 package. The $500 level tables come with $50 carts. That makes a difference. Sample “A” was the best sounding to me by a wide margin. “C” sounding like total crap to me, and I would never buy music with that level of compressed range. I totally agree with Alex in post #6. The master is the most important piece of the puzzle. I choose B since its the most balanced. A is recessed and pushing things all over the stage in a weird way. This one is a no brainer: B is the obvious answer. A has no dynamic range at all (3dB), B and C are very close (15dB) but C sounds dull compared to B. I don’t know which is what but for my ears it’s B! Got a chance to crank up the speakers with the family out of the house which is where I prefer to perform comparisons and voted for Prefab Sprout vinyl, but here voted B. Where does one go from here with an entry level table? A better cartridge is needed and a great comparison of the 4 Ortofon 2M’s, an entry level Ortofon MC and 2 versions of the Denon can be found here. Keep in mind he’s got a tube amp and the Musical Fidelity VLPS phono preamp. These days he would have picked up the Schiit Mani for sure (see Amazon.com customer reviews of the Mani vs VLPS). Now that the poll is closed can we have the answer on which sample is what?